John Reid: Hi ho Silver, away! 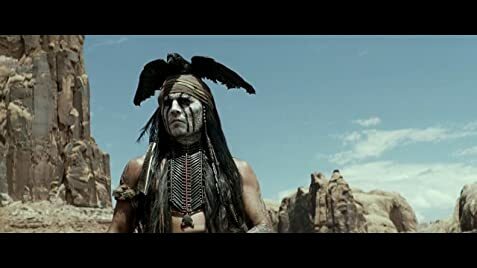 Tonto: Don't ever do that again. Q: Does Johnny Depp have any Native American ancestry? Just got back from seeing it and we were thoroughly entertained. 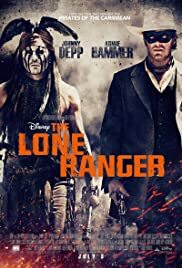 Depp and Hammer were fantastic in their roles and the action was over the top, as expected. Be advised, this film is told from Tonto's point of view based on his recollections of what transpired. This is not an Oscar contender, nor was it ever intended to be, but it is a great popcorn flick. It is violent in certain scenes and may not be suitable for smaller children, but for adults and tweens, it is about right. I did think that the first 10-15 mins or so were a little too slap-sticky for me, but once it gets going, it gets good. To all of the naysayers out there, what did you think you were going to see? It is essentially a western Pirates of the Caribbean, and Depp portrayed his character with the usual humorous persona he always does. 423 of 635 people found this review helpful. Was this review helpful to you?